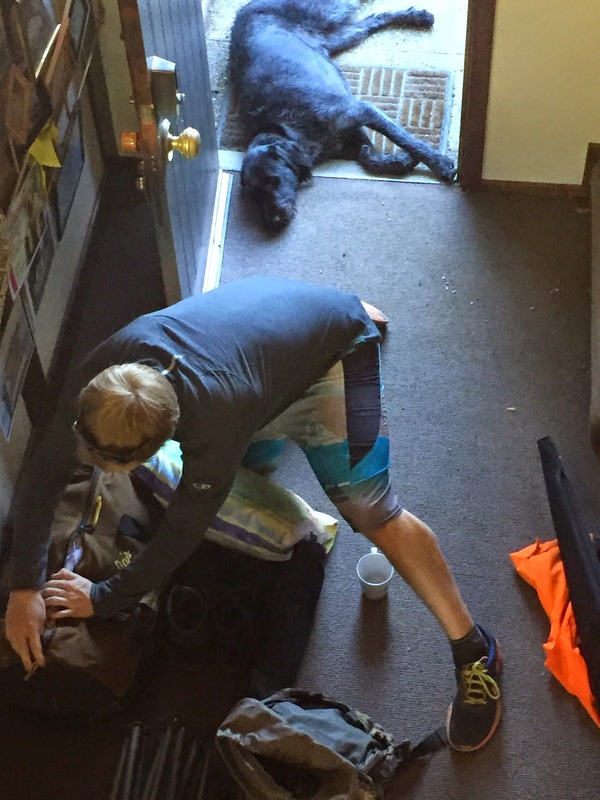 Duncan Campbell's Blogsite: Hiking / Camping Trip - minus DOG! Hiking / Camping Trip - minus DOG! Diving going great - down in Dunedin, did my first night dives on Thursday night and I was really looking forward to getting home to hang with Dog - hike and mountain bike for the weekend. Got a call from friends inviting me away for the weekend. BAD news - the Dog not allowed to come. Arrived home - unpacked and then started packing again. Felt really bad - but as you can see Dog was determined not to let me out the front door. Going to miss him but hey - take every opportunity.